I have found another product that is a tradition in the realm of working with Spirits and I wanted to share it with you. 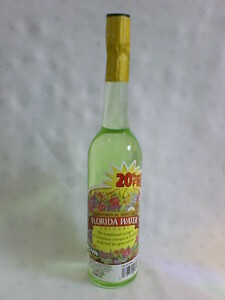 Goya Foods Company, based in Florida, offers their version of Florida Water Cologne. This large bottle is economical as it is not priced quite so high as other Florida Waters and I sometimes prefer this brand as it seems to have more cinnamon essence in it than Lanman and Kemp’s Florida Water. Florida Water is used to cleanse, anoint and calm a person ‘heated’ by being overcome by Spirit. I also use it for candles as a substitute for lemon juice. It is offered either mixed with spring water or undiluted on ancestor altars or offering for the dead.